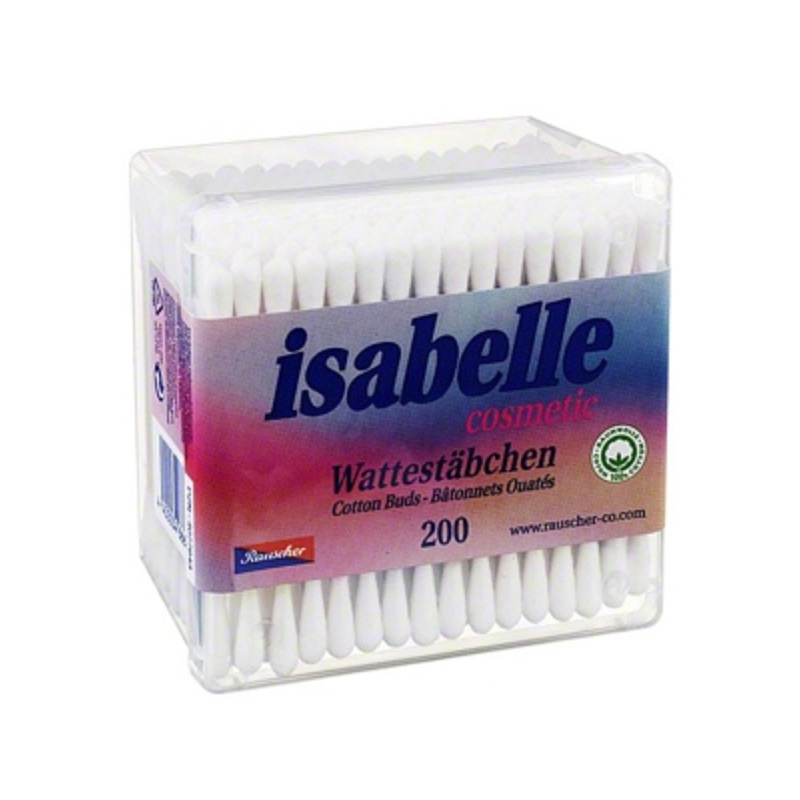 Isabelle Cosmetic cotton sticks are made of 100 % natural cotton wool. They are elastic and flexible. Do not insert into the ear canal! Keep away from children. Packaging unit = 200 pcs. Stäbchen: PP-Schaft, Wattebausch: 100% Baumwolle; Rohstoff ohne Chlorbleiche hergestellt.